God has given us gifts as tools to give structure and action to his beautiful vision of love for the world around us. The prophetic gifts are some of the most powerful of these in our spiritual tool belt. 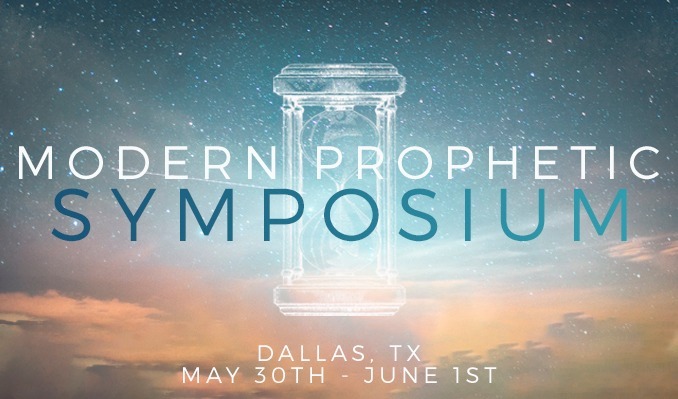 With this in mind, the Modern Prophetic Symposium is about the gift, the ministry, and office of the prophetic and how it can be one of the most useful parts of your spiritual journey. At this event you will explore how to engage culture, see transformation, and build powerfully through hearing God. Hear from people in many industries, occupations, and ministries who understand how to walk in intimacy with God, and listen to their stories of how the voice of God is changing their world. These experts are seeing transformation in their lives and spheres of authority, and you can too! In this symposium-style event, we will have 10 main sessions as well as breakout sessions, panel discussions, interviews, and creative expressions that will give you a clear picture of what can happen when God’s amazing love is poured into business, entertainment, politics, education, and, of course, the church. Experience a presence-driven atmosphere with amazing worship, arts, and creative expressions, and receive an impartation you can carry and flow in for the rest of your life. Join Shawn and Cherie Bolz, Kris Vallotton, John Bevere, Jesus Culture music, Rick Pino, and so many more this May. Start your summer with a new installation of prophetic passion!